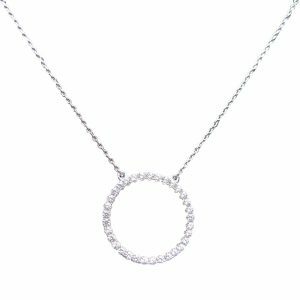 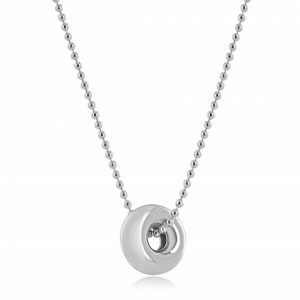 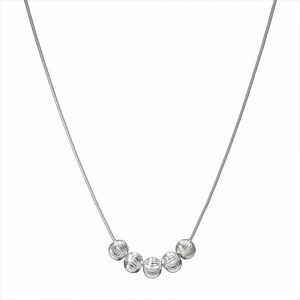 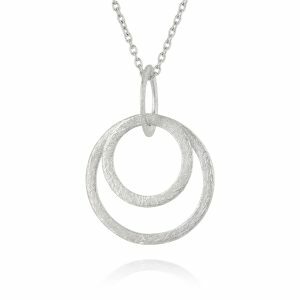 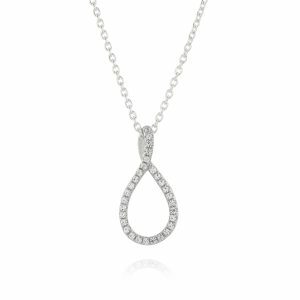 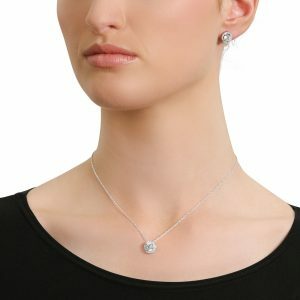 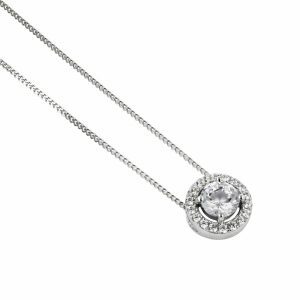 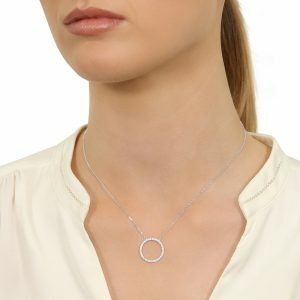 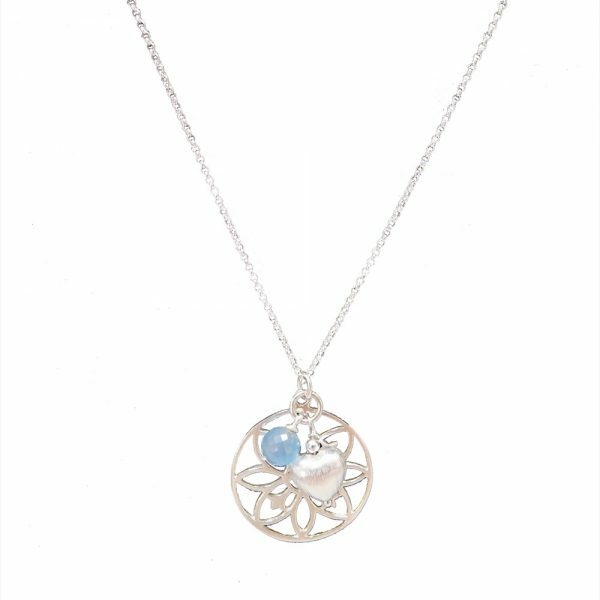 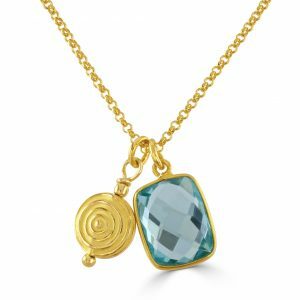 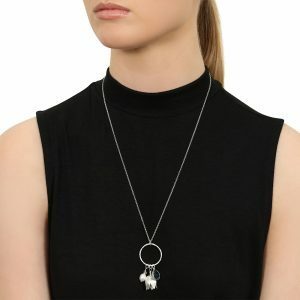 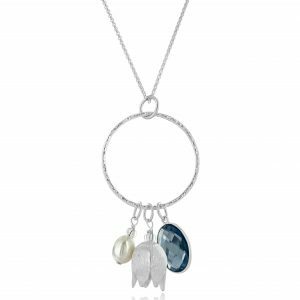 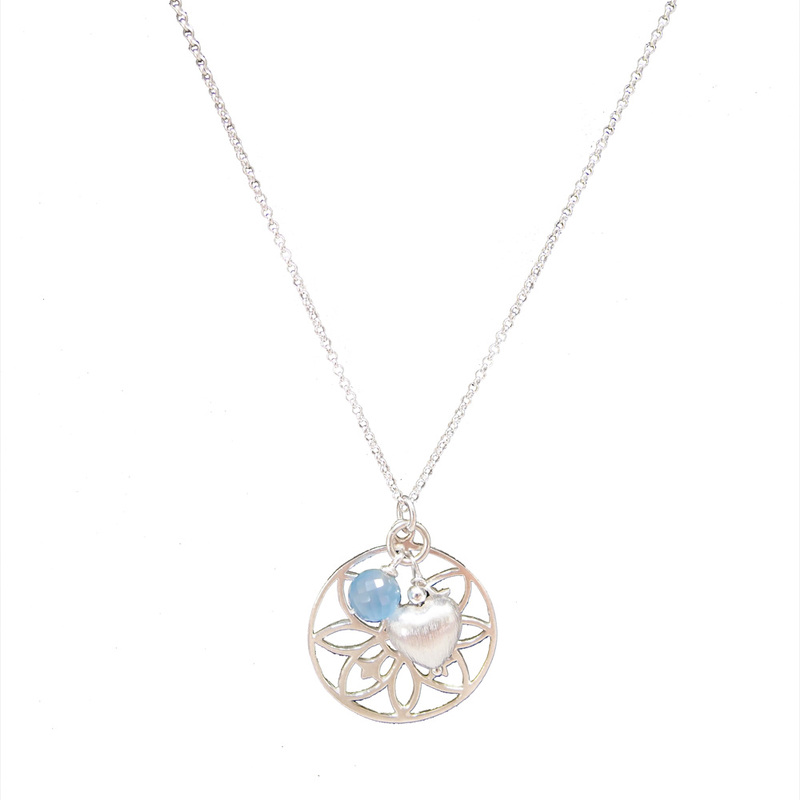 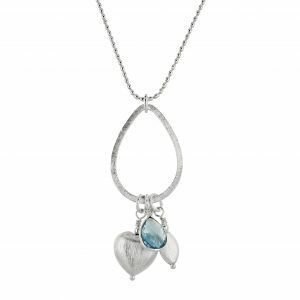 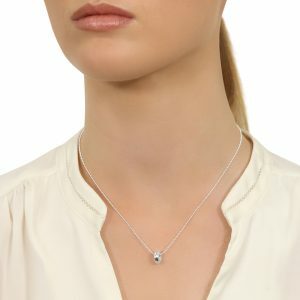 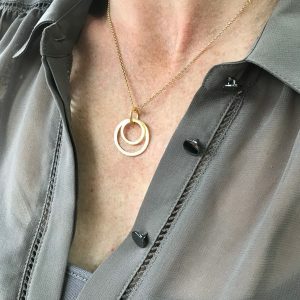 This gorgeous, easy to wear sterling silver necklace comes with a long chain. 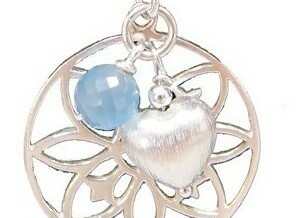 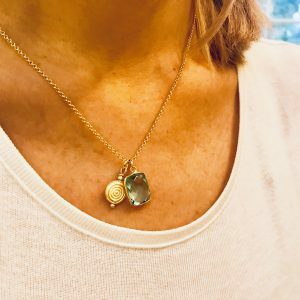 The blue chalcedony ball sits well with the brushed silver heart. 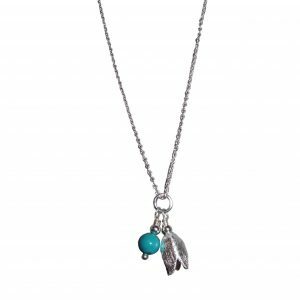 Worn comfortably during the day or out on the town at night! 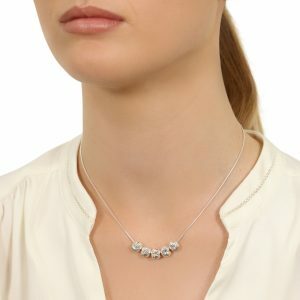 A stylish ‘must have’ in your jewellery collection. 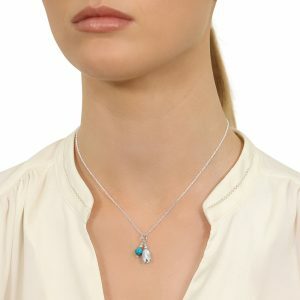 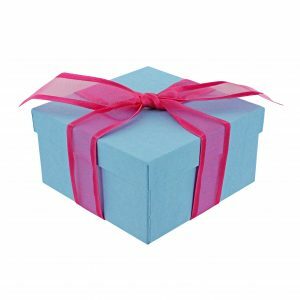 This necklace will arrive with you ready to give as a gift, should you wish, in a beautiful box with ribbon!